the collection, unforeseen family matters, Xenoblade X closing in etc. but it was definitely worth the wait! I had saved up the money for this and was prepared. and be able to get the WiiU – Xenoblade X bundle next week! a long wait and I am really looking forward to it. visit the “100 boxes” you will see that there are a couple of new ones, hehe. pictures later but at least everything will soon be up. to help other collectors but of course also to document my own collection. the most expensive game that I have ever bought so every sale counts now. I have yet to announce or all the games to play, or, or… phew. to try out a lot of the library now. 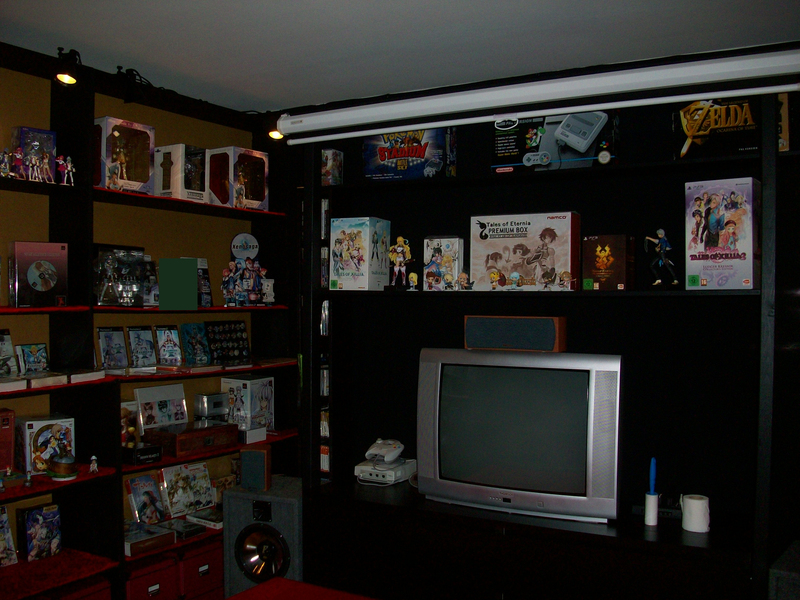 put any pictures up showing the game room. 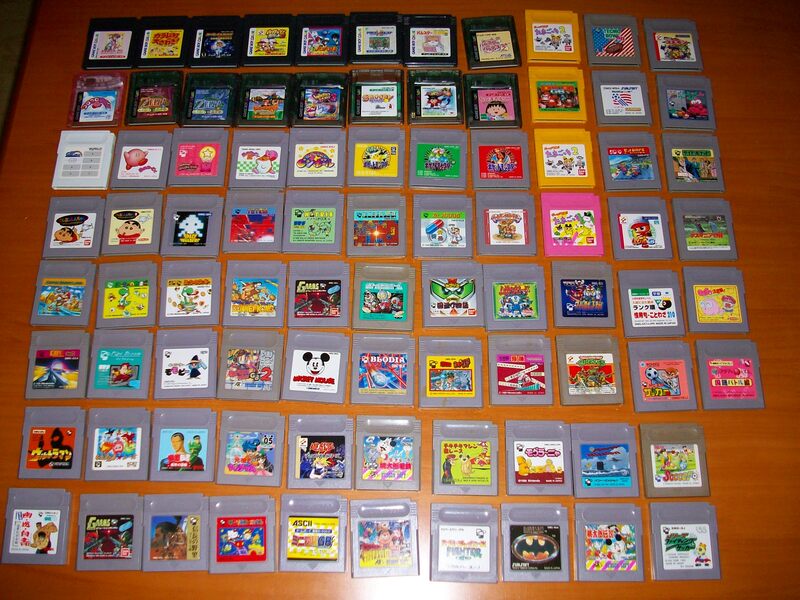 and that is where half of the games are, hehe. but it took a lot of time and it feels great that everything finally is protected! 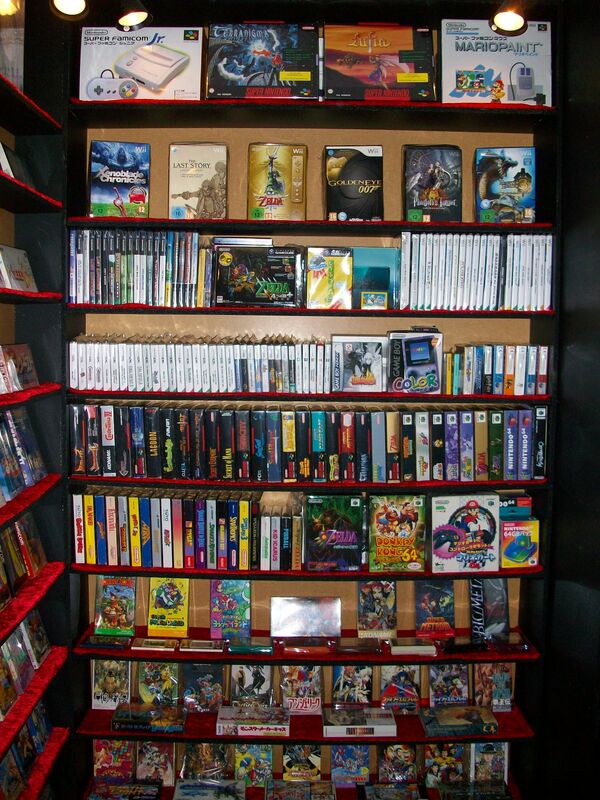 The Xeno shelves change very little, the other boxes move around a lot though and this setup is far from final. not even keep. Don’t mind the mystic green censor square, hehe. 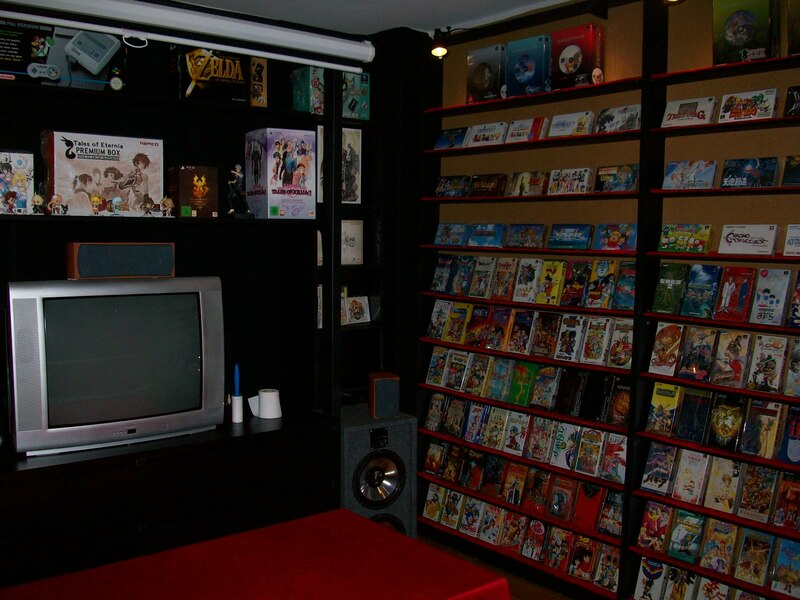 the projector usually have Xbox360 and PS3 connected. The red table for all the photos, and half of the SFC games. 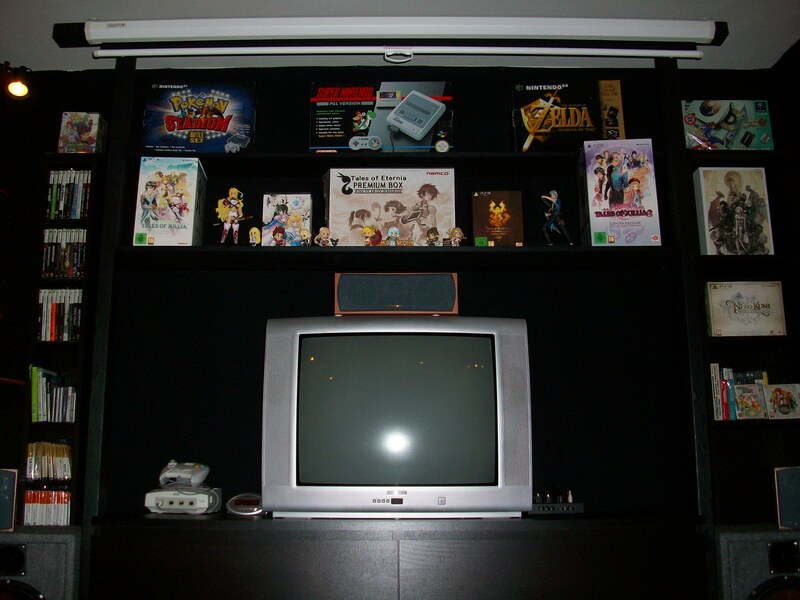 The other half and Nintendo corner! 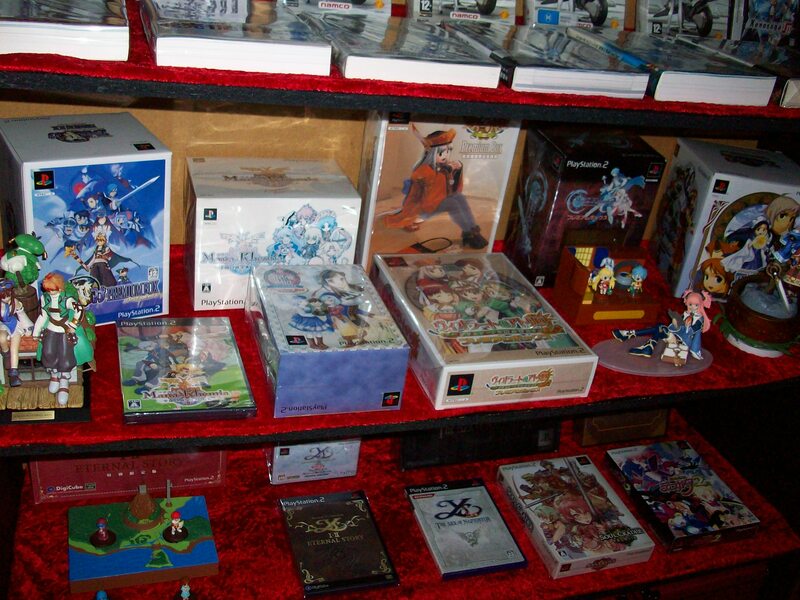 picture but there is not much left of the Link to the Past box, haha. 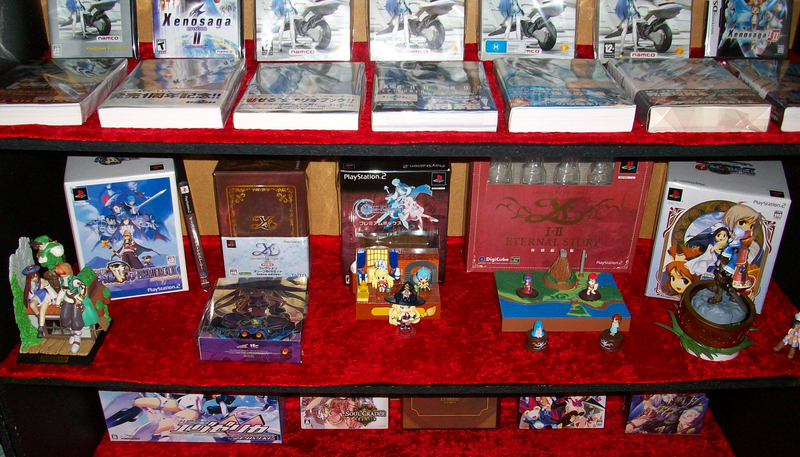 As a bonus, this is where the Tales of games used to be, now it’s some kind of diorama shelf! This and the one below will change when my next package arrive later this year. 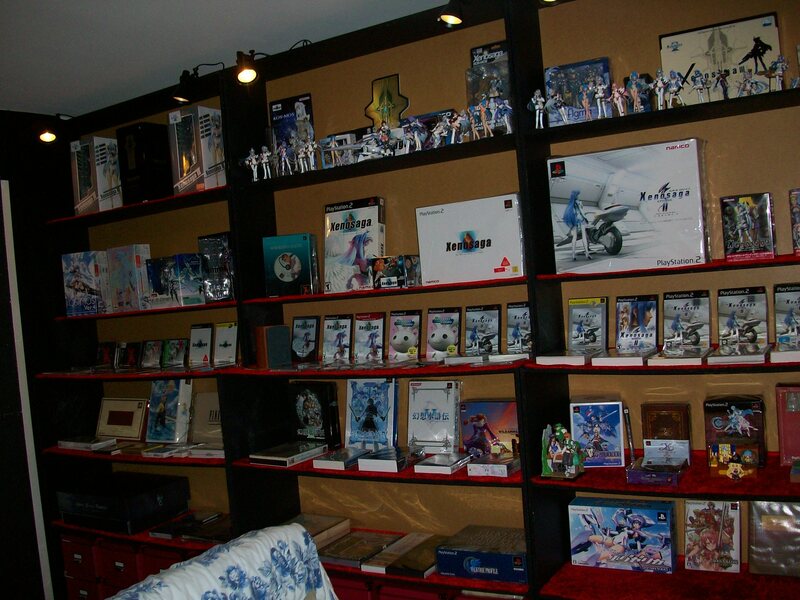 I really hope that you liked it, I will do a real tour someday, including the Playstation shelf of course! even know what to write about! 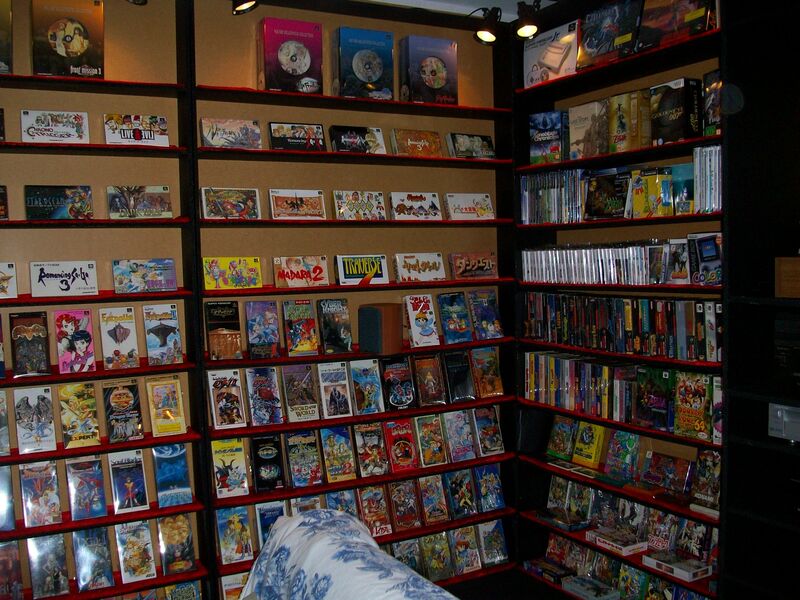 towards that is of course to reveal the secret stash number 2! through the amazing art in a scanned copy on the computer screen. outcome of Xenosaga was still a mystery. once when he said he could get them for me! added some luxurious cloth fabric of course. At last I added an extra layer to the chest for future items. again and I was still shaking when I saw them all lying in there, such a sight! 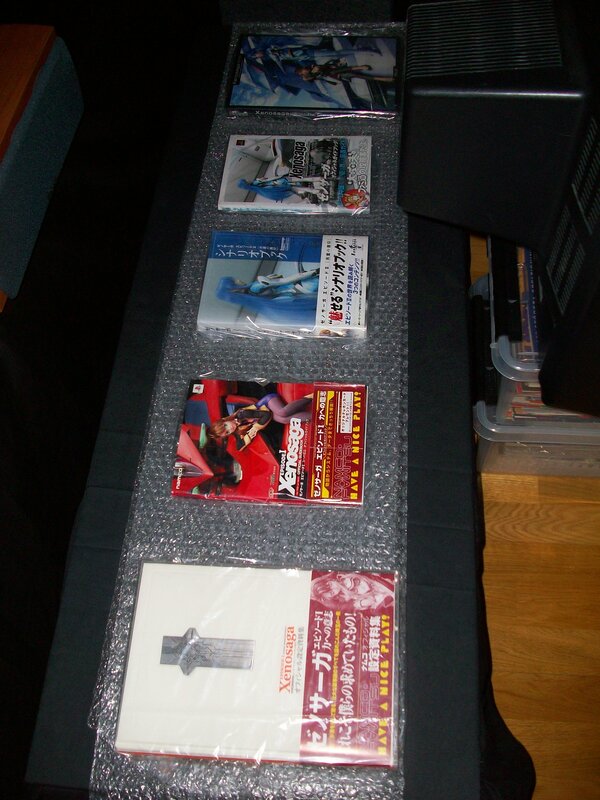 them and put them in new protective sleeves. 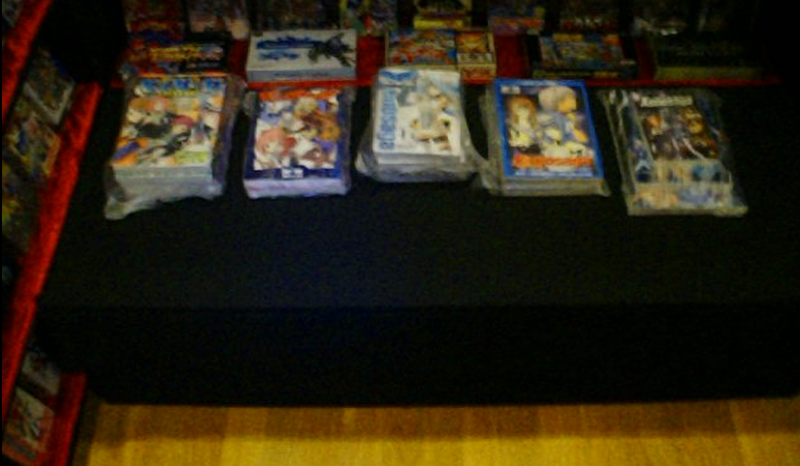 A really old picture when I stored some books on top. 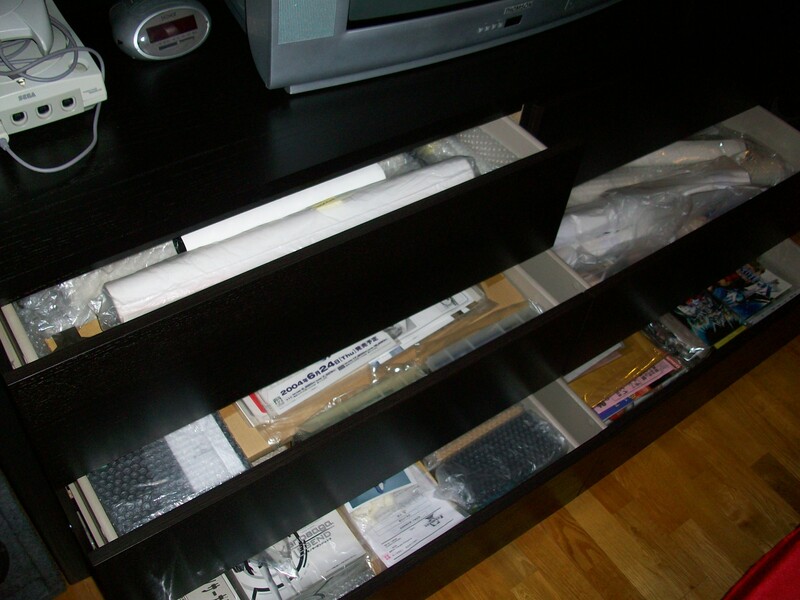 This is the top layer with handles to lift it up while the items are still in place. By the way, the middle item is on my top three items ever created and of course I will get back to that one! And this is the lower layer designed especially for the Emission books.